Romanian courtesy of our partners, Mamaia and Vama Veche beach! 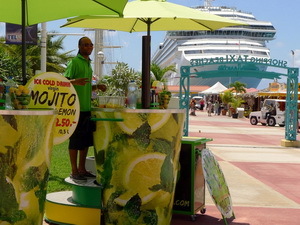 The first Mojito Lemon mobile cocktail stand opened on the Caribbean islands! 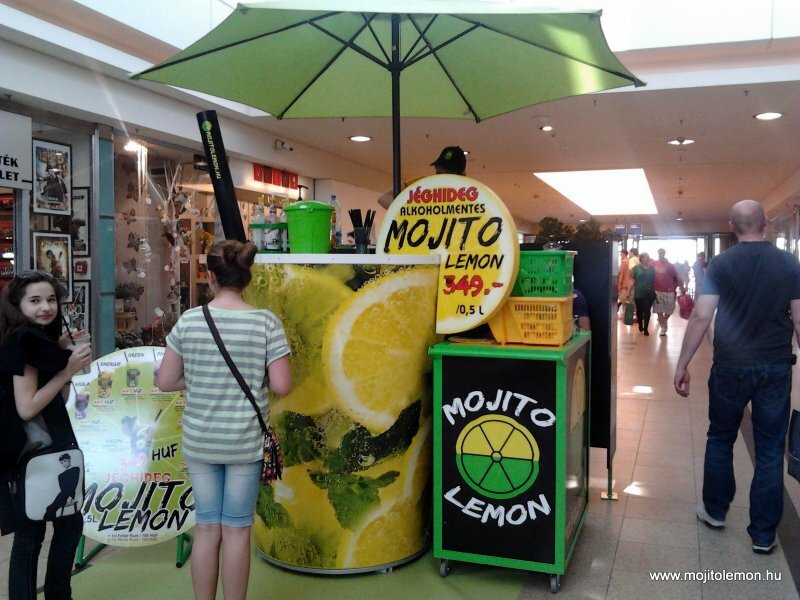 The first Mojito Lemon mobile cocktail stand opened on the Caribbean island of St. Martin at April 2013! The island visiting tourists warmly welcomed the refreshing cocktails in the 44°C/111°F heat. 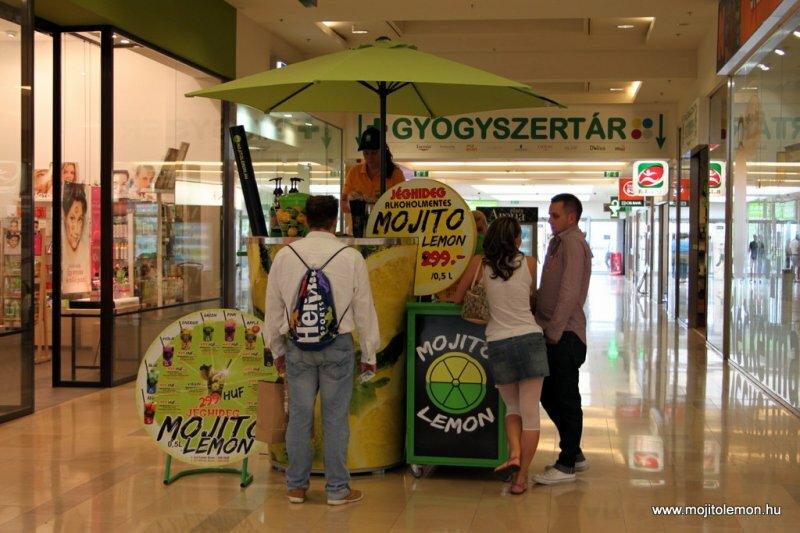 Mojito Lemon mobile cocktail stand opened in Budapest at Duna Pláza! 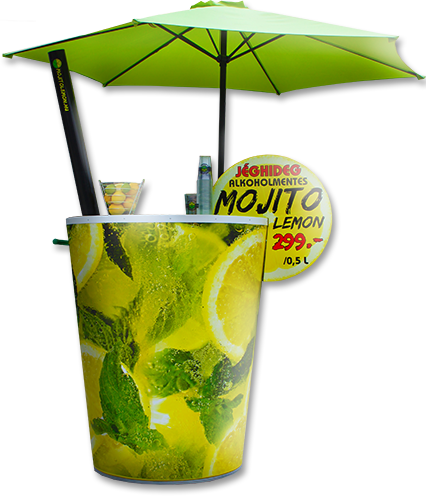 The first constant Mojito Lemon mobile cocktail stand opened on 3rd may 2013 at Duna Pláza. You can find our cocktail stand on the mall`s ground floor in front of the main entrance. Mojito Lemon mobile cocktail stand opened in Budapest at Aréna Pláza! Our new cocktail stand is located on the ground floor of Aréna Pláza, left from the Tesco and in front of the Neckermann`s office. 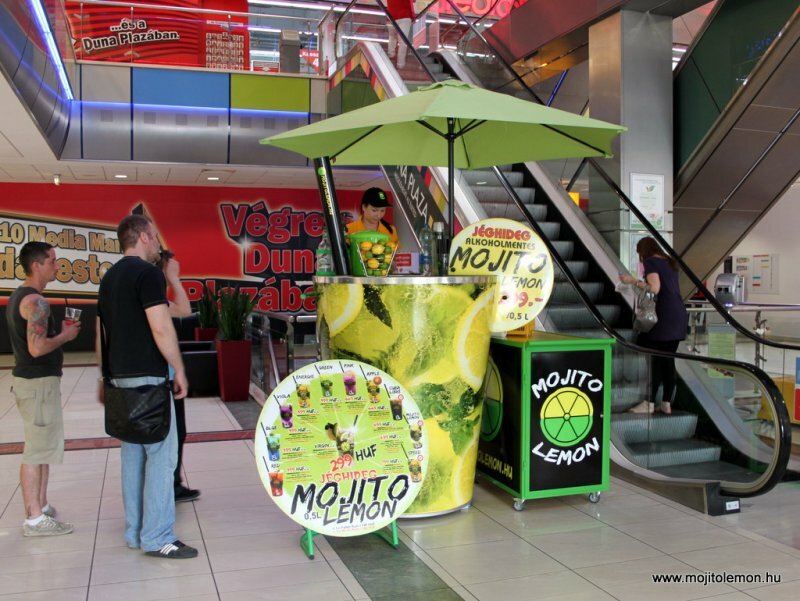 Mojito Lemon mobile cocktail stand opened in Pécs at Árkád! Due to our partner our cocktail stand became an ice cold, funny spot at the Árkád of Pécs. You can find our cocktail stand on the mall`s first floor in front of the Retro`s shop.